I’m not sure why it took us so long to get to Berlin. 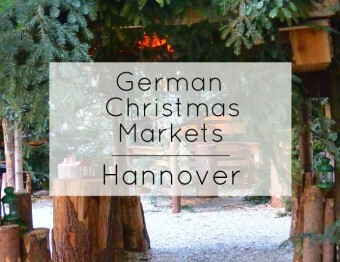 We’ve been to Germany twice for the Hannover and Cologne Christmas markets, but never during another part of the year. Berlin seems like it’s been calling out to us — we know people who’ve recently lived there and we’ve seen some conventions in Berlin we’ve been interested in. I’m so glad we finally made it happen…even though it was in January. There’s a reason it’s off-season…we were so cold!!! When I hear “Berlin” I immediately think more about history than I do about how things are today. While there’s definitely a lighter side to Berlin, I think it’s important to reflect on the past that this preserves so well. From the days of Hitler to those famous words from U.S. President Ronald Reagan “Mr. Gorbachev, tear down this wall,” this area has had some hard times that we shouldn’t forget. 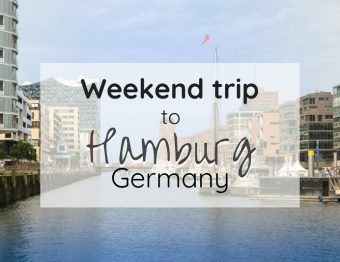 If you only have one full day in this capital city, or you want to get all the major historically relevant stops done in one day so you can let loose for the rest of your visit, this post is for you! On your first day (or your only day! ), I would recommend picking up the Berlin WelcomeCard since it gives you free transit (my favorite part), and discounts for everything from museums and restaurants to tours and other things you might want to do (or buy!) during your visit. Personally, I just like to not think about transit passes. Much of what we’ll visit today is free without the card, and for some places, it’s handy to have it. The Brandenburg Gate is huge, and there’s a handy little island in the middle of the road for pictures with plenty of room for selfies, too (since it’s so big!). You’ll be in front of the U.S. Embassy and right by a super famous hotel. So, feel free to hang out for a bit to see if you see anyone trying to hide from the paparazzi. Apparently, it’s also where the infamous photo was taken of Michael Jackson showing off his baby over the balcony railing. The gate itself is Neoclassical and is on the site of what used to be the Berlin city gate. 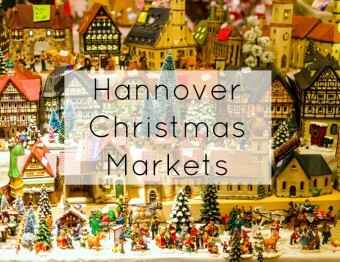 Now, it’s one of the most recognizable sights in all of Germany! That quote I mentioned above was said while in front of this gate…it just represents so much of history. Once you go through the massive Brandenburg Gate, hang a left to see the Memorial to the Murdered Jews of Europe (aka the Holocaust Memorial). This city block holds 2,711 concrete slabs at varying heights on sloping ground. It’s disorienting and thought-provoking. Take your time to simply wander through. There is an information center, but know that there isn’t any specific meaning…it’s whatever you take from it. Tip: Have a set meeting point for when you get out in case you lose your partner or group. In my opinion, it’s something best experienced on your own…and it’s easy to lose people in it. After visiting this memorial, head back towards the Brandenburg Gate, and cross the busy road to head towards the Reichstag building. This is the very stately-looking government building that houses the German Parliament. But why on earth would you want to visit a government building, right? First of all, it’s a symbol of the democratic government in place now. And the dome on top is glass, so you can see over Berlin. The interior is also glass to represent that the public is watching their government very carefully. Nobody wants history to repeat itself here! Tip: You must pre-register to visit the Reichstag building, but it’s FREE! I heard that mostly Americans are interested in this landmark, but we saw people from all over the world getting their pictures taken with the actors in front of this recreation of the original checkpoint. “Charlie,” you may know from watching M.A.S.H., N.C.I.S. or any other government or military show, just means “C”. There were checkpoints “A”, “B”, “C”, and “C” was the only one recreated. This is on a main road, so don’t be out in the middle of it taking photos. There is a small island you can hop to so you can get your shot or snuggle up to the very friendly actors for your touristy photo souvenir. Right by the checkpoint, there is an outdoor exhibition of sorts that takes you through some of Berlin’s timeline and even has a posed section of the Berlin wall to get photos with. For a more in depth view, check out the Mauermuseum Haus am Checkpoint Charlie. You even get a discount with the WelcomeCard. Woot! Also known as the Berlin Cathedral, the Berliner Dom is on Museum Island (yep, an island of museums…and churches), and is much more interesting than many other churches! The WelcomeCard will get you into the church for 5 euros and it is definitely worth it. If you can, catch a sit-down session to learn about the organ, the statues, and so much more. It’s very recognizable because of its dome, but during World War II, a direct bomb hit destroyed the Dom. The cathedral was closed during the time Berlin was divided, and reopened after renovation in 1993. I love that they have one of the balcony areas open so you can see the inside of the church from above…and if you keep going, you might be able to go outside around the dome! At the very least, you can look out the windows for an excellent view. Once you circle the dome (which, when walking, you realize is much bigger than you thought), there’s a lot of stairs to take back down. The mini museum was so interesting with the sketches, models, and photos of the church throughout its life. And don’t forget the crypt. Oh. You can’t. Because you HAVE to walk through it to get out! The Wall. That wall that made no sense to most people. That wall that got people killed…some who weren’t even trying to escape. They were “accidents”. The Mauerpark (Wall Park) is a must see for so many reasons. It makes it all real. You see the outer wall and the inner wall. You see the busy road on the other side of the road. You see the neighborhood road that was split because the wall was erected…the road is still there…and still blocked. You see the photos and names of those who tried to escape over the wall. You see a cross for those who may still be buried there (in the part that used to be a cemetery). You are in the nomansland. It’s so hard to explain what it’s like to be where, not very long ago, no living soul should have been. It’s touching. It’s heartbreaking. It’s eye-opening. 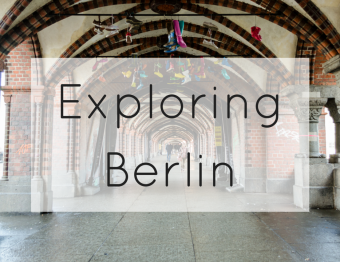 Did you know that West Berliners and visitors could visit East Berlin? But East Berliners couldn’t leave except for special permission. It all started with a simple checkpoint, and then, almost overnight, they built this huge wall with a rounded top that was tested by athletes to see how easy it would be to climb. Nowadays, even though the wall is remembered in many ways with paving stones, pieces still in place, and memorials, Berlin is a very cohesive city. It’s a seamless transition from the old East to West. Buildings may look different, but all the people are now just “Berliners” without any qualifiers. This trip left me feeling like I experienced closure. Of what, I’m not quite sure. It was a somber experience to visit memorials and reminders of the past, but it was uplifting to know that we can rise about it. Ultimately, we know right from wrong, and we need to remember that every human is a just a human despite any other classification. I’m glad I finally made it to Berlin and hope to visit in the warmer months as well. It should be an entirely new experience in itself! 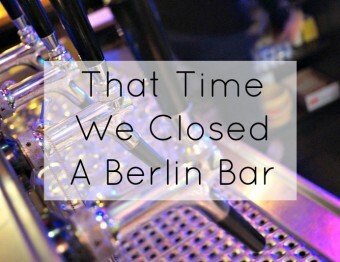 This is definitely a full day, so treat yourself to sweet treat, or a beer or cocktail at one of the many awesome Berlin restaurants. You deserve it! 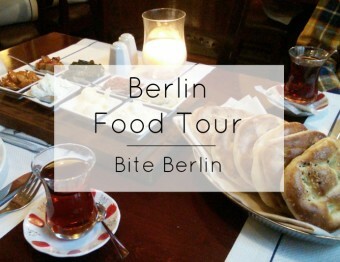 Special thanks to Visit Berlin for the complimentary Berlin WelcomeCards so we could explore this wonderful city and share our experience with you. We think saving money is awesome, so definitely use your WelcomeCard to its fullest! As always, our opinions are our own.